BlackwaterBLUE from monkster.com: Are early rumours of Torres' future ridiculous? 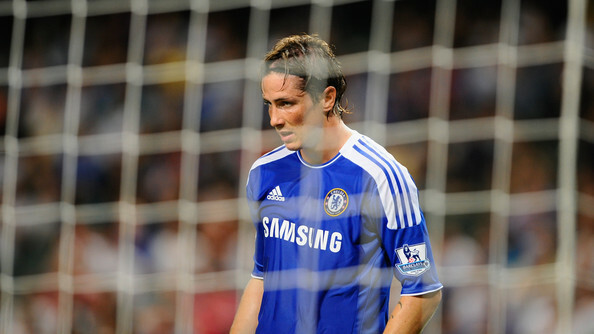 Are early rumours of Torres' future ridiculous? Atletico Madrid are reportedly considering a bid for Fernando Torres, who has struggled to find form since his January move to Stamford Bridge. 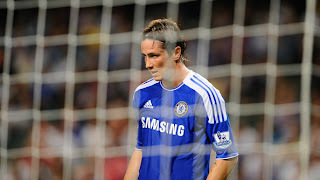 Torres started the first three Premier League matches of the season and although performed relatively well, still did not manage to find the net in fixtures against relatively average opposition. Villas-Boas then dropped the striker and opted to bring in youngster Daniel Sturridge, who had been suspended for the first three games of the season, and he duly scored as Chelsea overcame Sunderland. Los Rojiblancos are on the look out for further striking reinforcements having sold Sergio Aguero and Diego Forlan to Man City and Inter Milan respectively. Though newly installed boss Gregorio Manzano signed Radamel Falcao from FC Porto, he could well be looking to bring in another striker and some sources believe they could make a bid for Torres in January. The fact that Manzano was in charge at Atletico during Torres’s most prolific season, in 2003/04, may also give the La Liga side some hope of tempting the Spaniard to return to his first club. During his seven seasons in the Atletico Madrid first team, Fernando Torres netted 91 goals and, given his 'struggles' in the Premier League, a move back to the club he represented from age 11 to 23 may not seem such a ridiculous proposition. However, it is thought that president Enrique Cerezo is only willing to offer up to €25m (£21.9m) and it seems unlikely that Chelsea owner Roman Abramovich would sanction a sale for less than half of the fee paid to Liverpool.